Several years ago, when the national news media was producing stories on the drought in Georgia, it was the docks at Hideaway Bay Marina on Lake Lanier that they showed resting in the mud. But the marina is determined that won’t happen again. “This year we just finished the third and final part of our dredging plan,” said Mark Durling, the marina manager. The channel is now so deep that it could handle any drought the lake has ever seen. 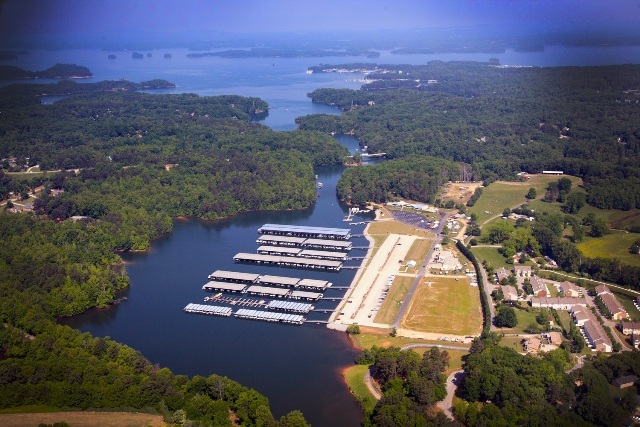 Located at Flowery Branch, Georgia, the marina has 510 wet slips for boats from 20 to 45 feet. 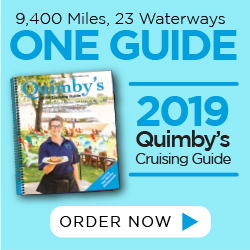 The owners are also building two new docks, one to replace an existing dock that has reached the end of its life and another to increase capacity. The construction will add another 92 docks to the facility. Hideaway Bay also built a new bathhouse, a new parking lot, and added new power and water infrastructure since the dredging work destroyed the old facilities. For more information, visit hideawaybaymarina.com.